It can be very hard to find a job in today’s economy. As such, many people are turning to self-employment in order to be able to support themselves and their families. It can be a great way to support yourself if you have a marketable skill and are able to generate an adequate income. Many people are not able to sustain self-employment for a prolonged period of time, but in a lot of these cases, they simply do not have a marketable skill or are not able to discipline themselves enough to be able to work consistently. One problem with seasonal self-employment is the issue of off-season income. If you are working in a business that is only supported during certain months of the year, you will still have to find a way to support yourself during all of the other months of the year. If you make enough money during your seasonal stints of employment to be able to support yourself year round, then the problem is solved other than making sure to budget properly. If, however, the seasonal income isn’t enough to stretch across an entire year, other paths need to be considered. One is to borrow against future earnings, a tactic traditionally associated with farmers. While the concept of payday loans sounds scary to most people, alternative options to payday loans exist which enable seasonal professionals to more responsibly borrow in a pinch. These types of loans may only be enough to cover a month of expenses, but one month makes a big difference if stretching seasonal income across the entire year. In addition to borrowing money to make ends meet, many people who do seasonal freelance work choose to get second jobs in the opposing season, so that they can have a source of stable income in addition to their freelance work. Many people elect to work in retail or in restaurants; some even find other seasonal gigs. For example, someone who works as a landscaper in the spring and summer months can shovel driveways in the winter. There are many seasonal self-employment opportunities for people who are looking for them. For example, you could be a landscaper, who would typically only work during half of the year (spring through autumn). If you are interested in real estate, you could take all of the required courses and work in that field for part of the year (technically, real estate agents can elect to work year round, but they get the most business during the spring and summer months). Given that you have the right skills, you could also become a freelance writer or freelance graphic designer; in these situations, you would work with individual clients, the duration of projects being whatever you agreed upon with said clients. There is also the option of opening up a seasonal business based on a holiday, such as Christmas or Halloween; there are many types of merchandise that people only buy during these times of the year, and you could sell them if you are capable of making them or otherwise procuring them. Making money self-employed can be a great option for people who prefer to make their own hours and do not want to have to follow the rules of an external employer. As long as you can find an arrangement that works for you. you are all set. You just need to make sure that your self-employment is sustainable and will allow you to sustain yourself throughout the year. Nursing is an honorable profession that can provide an individual with plenty of opportunities to both earn a good living and advance in his or her career, but there are a few particular facts about school that every future nurse should know. From the classroom workload to clinical rotations, preparation is the key to a successful experience in nursing school. Nursing school involves a great deal of reading, and unlike prerequisite college courses, it is never a good idea to skim the material and go back to it later. In fact, many nursing students find themselves reading more than is required to ensure that they fully understand a topic before moving on to the next new concept. Study groups are an excellent way for students to make sure they are comprehending all of that reading and in-class lecture material that is so much a part of nursing school. Small groups of students working together outside of class may be one of the best ways to receive answers to all of those questions that did not come up until class was over. 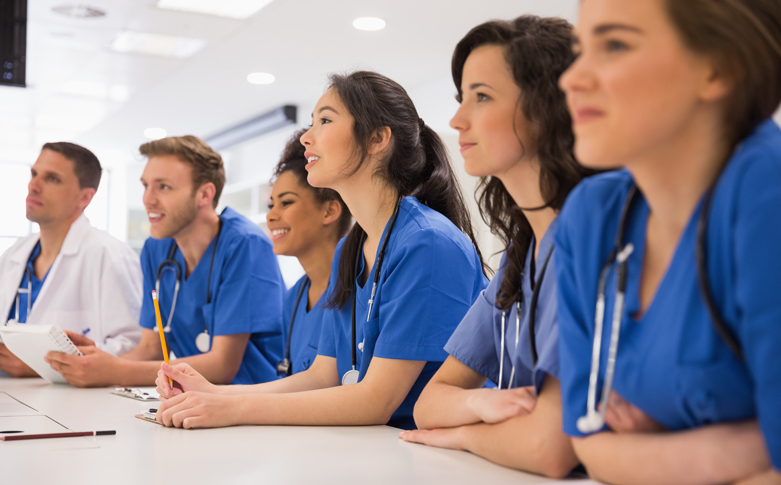 While the actual time spend attending lectures in the classroom is likely to not exceed that of any other intense college program, those who have been through the experience of nursing school often claim it was one of the busiest periods of their lives. Although students may have to make sacrifices to get through school, the payoff is a career that they love. Before donning their scrubs or meta lab coats for clinical rotations, students should find out exactly when that portion of their education will begin. Most nursing programs give students at least one full semester of the actual nursing classes to get their feet underneath them, so to speak, before sending them out to begin learning by doing. Of course, the clinical rotation demands vary between institutions and even states, so it is vital to find out how this works before beginning a nursing program.